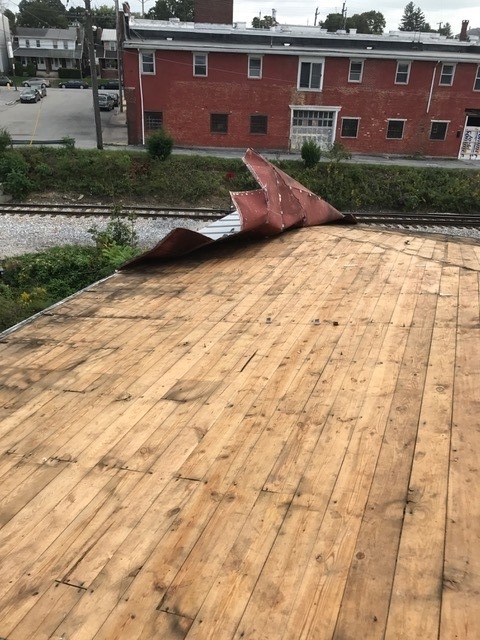 This emergency roof replacement project was required due to tornado damage at a long-standing industrial facility. The existing hand crimped metal roof panels lifted up from the wood roof deck, snapping existing panel clips and blowing off a corner section of roofing. Remaining metal roof panels were removed and recycled. 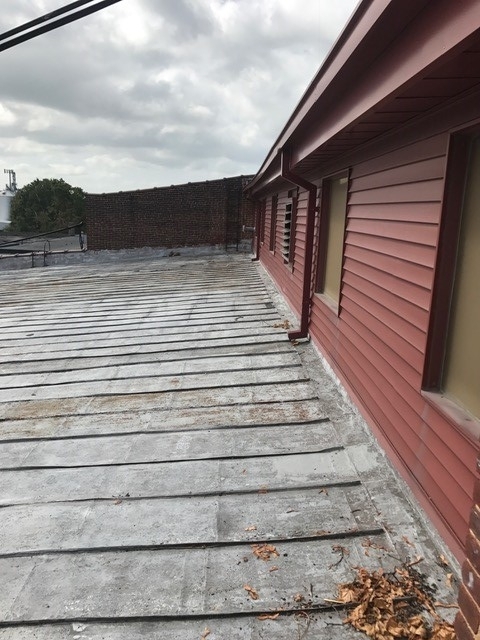 Wood roof deck repairs were completed and a new self-adhering underlayment was installed. 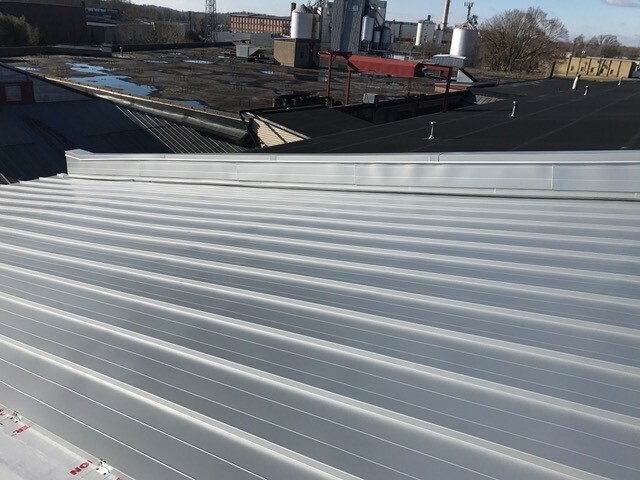 New metal roof panels were roll formed on-site and installed to match the existing panel profile and color as close as possible. The new roof panels were seamed with a double bend to provide a low-profile panel rib. New galvanized half round gutter with custom made under hangers were installed. New shop fabricated trims and accessories were installed along with rib-mounted snow guards. The existing vinyl siding was removed and reinstalled to properly flash the adjoining wall. This project tested relations between us, the construction manager, and owner to perform under difficult circumstances heading into Winter. The project team worked very well together and we were able to end up aesthetically with a vintage metal roof system with new-age components.